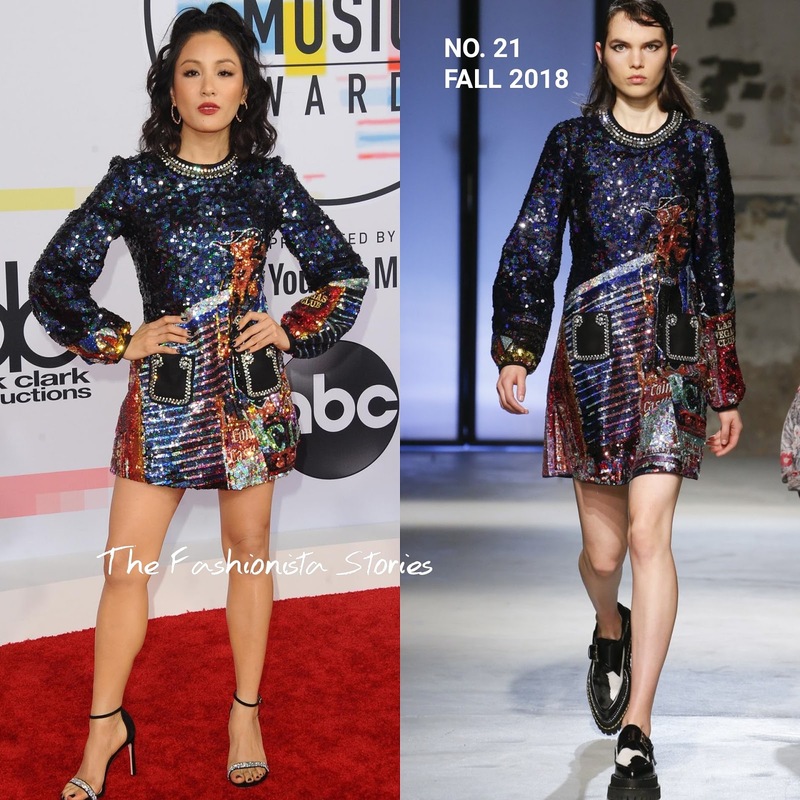 Constance Wu stepped out this evening(October 9th) for the 2018 American Music awards at the Microsoft Theater in LA. The 'Crazy Rich Asians' star sparkled her way onto the carpet wearing a NO. 21 FALL 2018 long sleeve sequin embroidered mini dress. Beauty wise, she went with a curly half-up half-down hairstyle and a colored lip which topped off her look along with black embellished sandals. While I think the dress is cute, the sequins combined with that hairstyle comes off as if she is about to hit the ice.